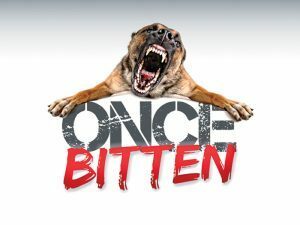 Want something to “bragot” about and enjoy with friends and family? Then hop to it—read on! 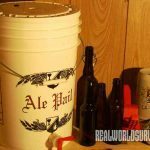 Whether you’re a homebrewer with a bit of experience under your belt who has yet to take the all-grain plunge or a beginning brewer daunted by the vast information available on brewing beer beyond using extract kits, the good news is that you can brew all-grain beer with little more than standard kitchen and canning equipment. Bragot (also braggot or Welsh ale) is a type of mead, but it is grain-based and thus brews (and drinks) like a beer. This exquisite combination of malt, honey, herbs and spices was one of the prevailing beverages for many centuries and had few limitations to its ingredients. 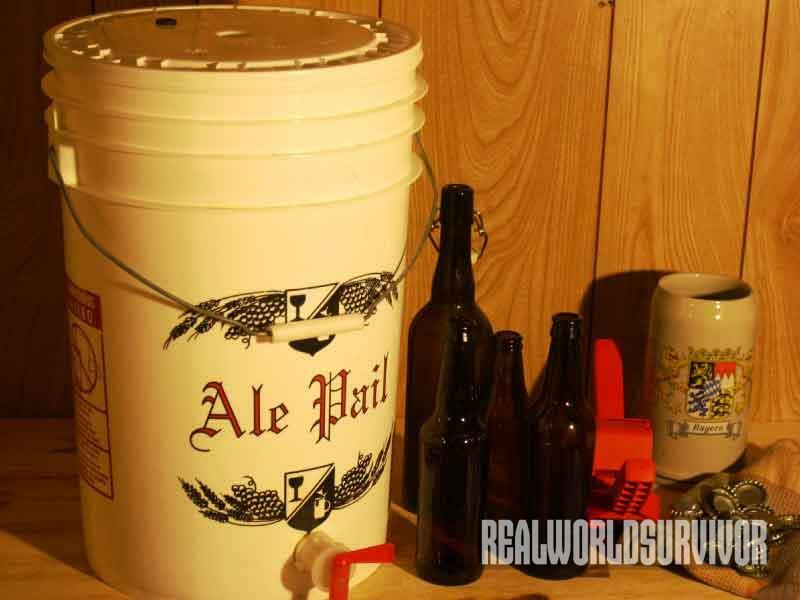 Even if you have never brewed beer, a bragot isn’t difficult to make from either extract or “all-grain.” You can purchase or build all-grain equipment, or save some money and use the brew in a bag (BIAB) method. 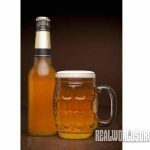 Ingredients for beer and bragot needn’t all come from a homebrew-supply store if you’re willing to let go of some modern assumptions about what should go into beer. Hops weren’t prevalent in beer until around the 15th century, and they were met with strong resistance initially. Bragot and beer were brewed for centuries with myriad herbs and spices for flavoring, preservation and medicinal effect, resulting in a beverage that was both a healing tonic and a refreshment. You can brew with practically anything from your garden. Some options for bittering are horehound, mugwort or dandelion greens. For flavoring, you can use common aromatic spices such as cinnamon, cloves, nutmeg or allspice, as well as pungent roots from plants like ginger or yarrow. If your tastes are more modern, add hops (see freshops.com). In addition to using locally harvested plants and honey to brew bragot and beer, you may be able to source local grains. 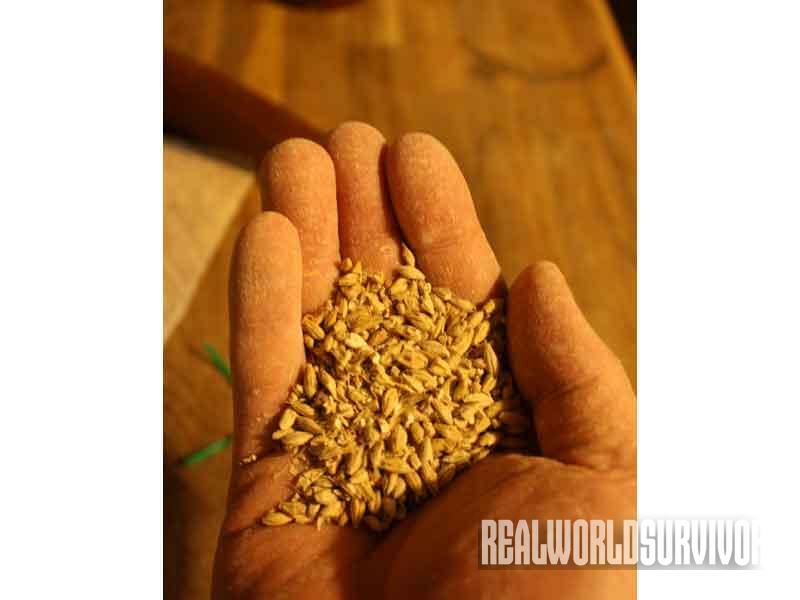 The grains you purchase from a homebrewing store or website are generally grown and malted in Canada, Europe or in America’s Pacific Northwest and Midwestern regions, and then shipped internationally. 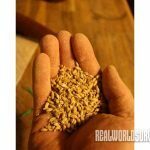 In some areas of the U.S., small-scale artisanal malt houses provide microbreweries, micro-distilleries and homebrewers with local grain that is malted using traditional low-tech methods. 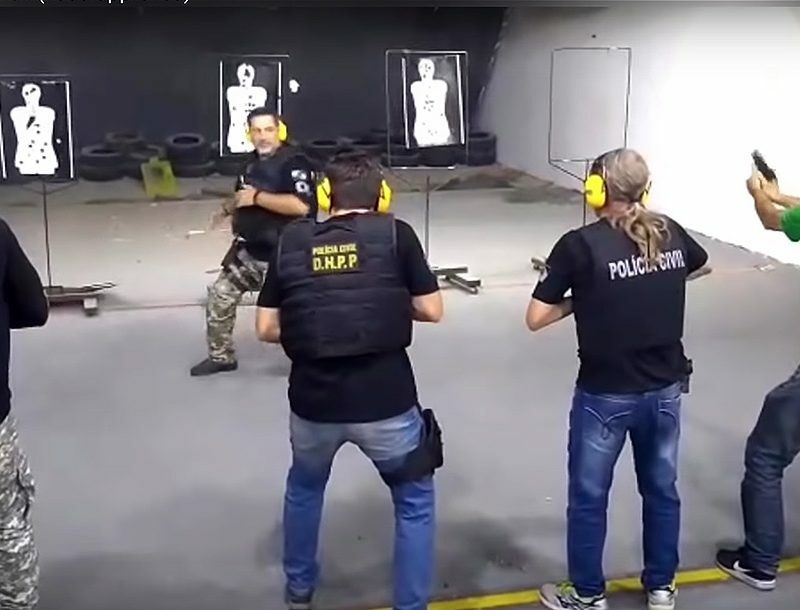 Look on the Internet or ask around and you very well may find one of these operations in your area. Clean and sanitize all equipment that will be in contact with the wort (unfermented beer) a few hours before you begin brewing. 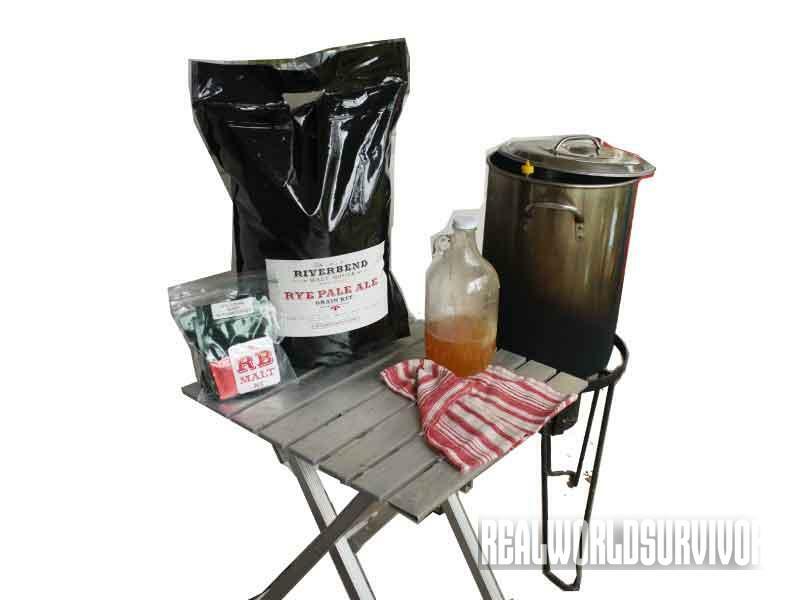 If you’re brewing with extract, skip ahead to the boil section. 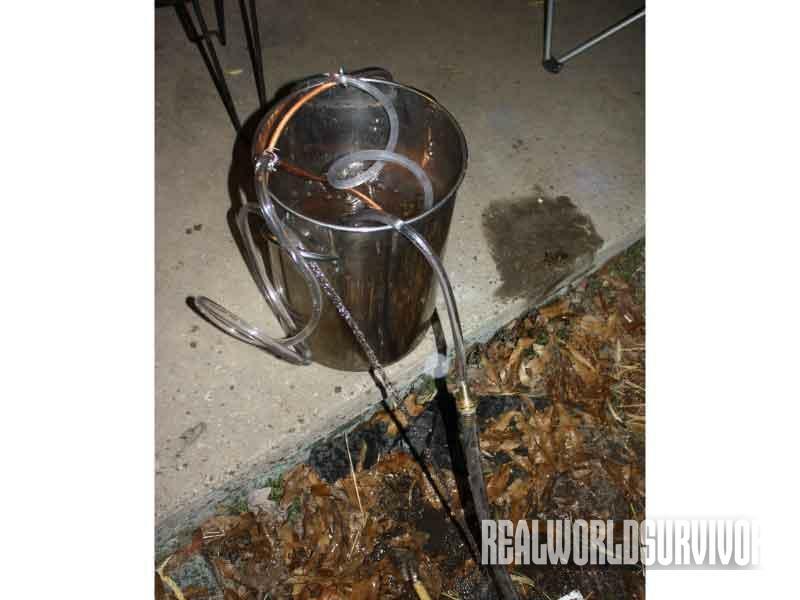 If brewing with grain, heat 1.5 gallons of water in a large kettle on high. Place a thermometer in the water and turn the heat down when it reaches 170 to 175 degrees Fahrenheit. Carefully lower the grain bag into the water, and fasten the top firmly to the edges of the pot. 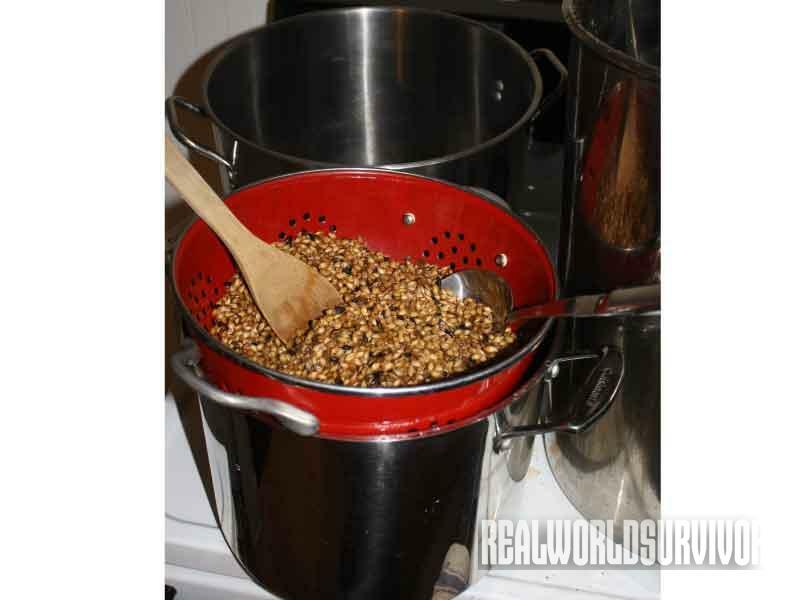 Slowly pour the grains in, stirring constantly and scraping the bottom to avoid burning the grains or bag. 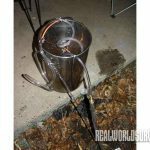 A canning rack or false bottom will help. This process is called the “dough in.” The grains will soak up much of the water, so add more water as needed until the grains are fully immersed. Watch your thermometer and adjust the heat as needed until the temperature stays steady at around 145 to 155 degrees Fahrenheit. Once the temperature stabilizes, set a timer to 60 minutes for the “mash in,” which releases malt sugars from the soaking. Stir regularly, or tie the grain bag and lift it up and down periodically, gently moving the grains around with a spoon. After about 30 minutes, start heating 4 to 5 quarts of water in a pot to 185 to 200 degrees Fahrenheit. When your timer goes off, it’s time to sparge (rinse spent grains of any wort they may retain after the mash). 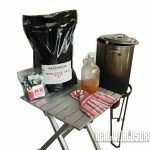 This can be messy and cumbersome, so plan on having some extra hands and another pot or two ready to set the bag in when you need to take a rest. 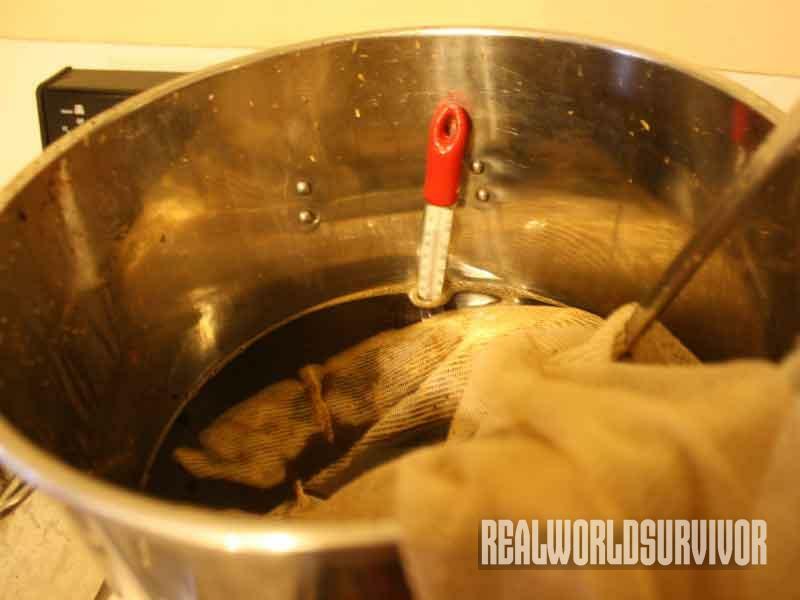 Lift the bag out of the water and allow as much wort as possible to drip into the pot. 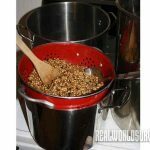 Pour the sparging water slowly over the bag while using the spoon to move the grains around. If you have a large colander that fits over the opening of your brewing pot, set the bag in the colander. Keep going until you have about 2 to 3 gallons of wort. If brewing with extract, add the extract to 1.25 gallons of heated water (stir vigorously while scraping the bottom) and bring it to a boil. For all-grain, boil the wort you have just created. Either way, set a timer to 60 minutes and add hops as follows: 3 ounces at 60 minutes, 2 ounces at 15 to 30 minutes and 1 ounce at 5 to 10 minutes. A bragot can handle a lot of hops, so feel free to go hop wild! Add mugwort, horehound or dandelion leaves any time from 30 minutes on, and add flavoring spices in the last five minutes. Cut off heat at 60 minutes and allow the wort to rest. I prefer to avoid boiling honey for my meads and bragots, as this greatly minimizes aroma and nutritional properties. Stir it in as soon as you cut off the heat if you want to pasteurize it, or wait 15 to 20 minutes to get the full benefit of the bee’s gift. Cool the wort down as quickly as possible to get it to 60 to 75 degrees F., the ideal yeast-pitching temperature. You can create an ice bath by putting ice and cold water in a bathtub or a large sink and setting your brew pot in it or accomplish this more quickly with a copper immersion chiller. Once the wort has cooled to 75 degrees F. or below, check the OG (original gravity) with your hydrometer. 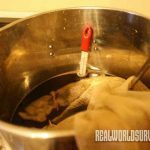 You’ll need to make adjustments based on the temperature of your wort (look online or check the instructions that came with your hydrometer). If you’ve added 5 to 8 pounds of honey, it should read around 1.08. Larger amounts of honey will bring it closer to 1.10. 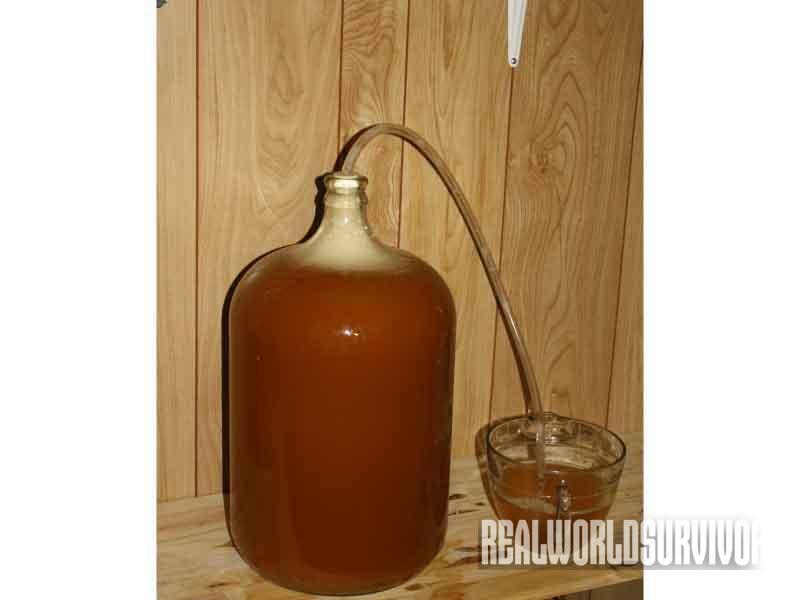 The more honey, the more fermentable sugars, and the more alcohol. With enough honey bragots can reach 13-percent alcohol! It’s time to add yeast and nutrients. You can hydrate the yeast in a cup of room-temperature water beforehand, but I generally add it dry and stir vigorously to aerate. To dry-hop for an extra hoppy aroma, add 1 ounce of hops now. Put a lid with an airlock on the fermenter and set it in a warm, dark corner (60 to 75 degrees F.). This will likely be a very vigorous ferment, so you may want to run a siphoning tube from the hole in the lid or the cork to a jar of clean water until fermentation slows. Once fermentation has subsided, add an airlock half full of clean water. After about a week, check the gravity level. When it stays steady for two to three days (likely around 1.01 or lower), calculate the final alcohol level by comparing it to your OG notes. 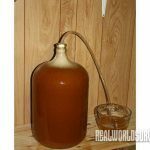 When it’s ready to bottle, sanitize your bottles and rack (transfer) to a sanitized carboy or bucket with a siphoning hose. 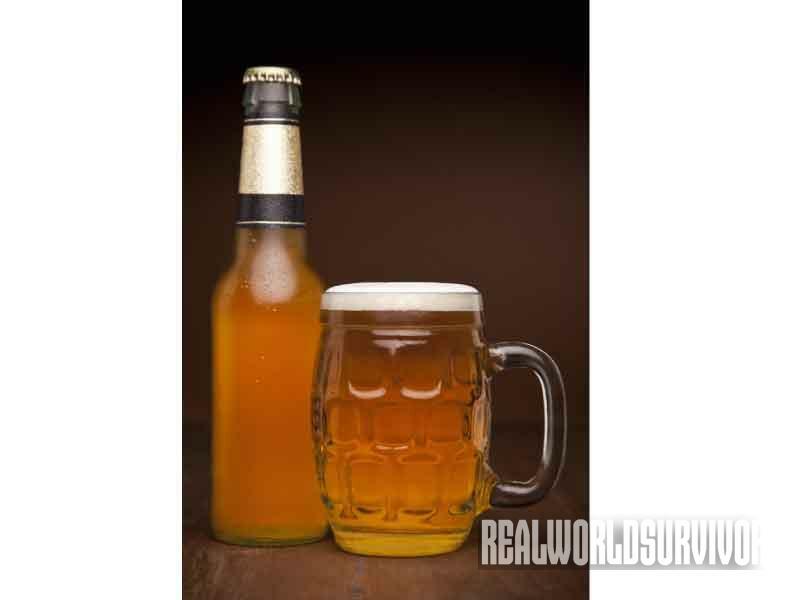 Heat 0.75 cups of corn sugar or 0.5 cups of honey in 2 cups of heated water, and stir slowly into the beer. This will cause carbonation within about two weeks of bottling. I use a wing-style bottle capper and swing-top bottles for bottling, or whatever else I may have on hand. Bragots age nicely, so if you can set some bottles aside for a year or more, do so. Wait at least two weeks before sampling your first bottle. Have a brew and enjoy!